Apperance: Facial features like a mid-twenties human. Long, slicked back rusted orange leaves as hair, with crimson tips. Light green skin, with oak-brown bark patterns. Taller than most sylvari, comes up to a norn's shoulder. Story/Origin history: A lot like the Soundless, Argylwyd has a very weak connection with the Pale Tree and the Dream. Unlike the Soundless it isn't voluntary. He dreamt, he Awoke, and he has a weak connection to the Dream since. However he was never cast out or ostracized because of it. There was no tragedy or trauma. He was included like any other sapling. But as the initial wonder all Sylvari have for Tyria started to vain, Argylwyd found himself without a purpose. He had no Wyld Hunt, no destined vocation. He was free to do whatever he wanted. Except he had no idea what he wanted. So he started wandering, doing whatever caught his fancy. Honing his skills with blades with the Nightmare Court. Drifting between outposts in Caledon and Kessex. Entertaining the troops and villagers with his stories, playing cards in the Ascalon Settlement. Pulling a few muggings and burglaries in Divinity's Reach. Banding up with pirates, raiding on the Sea of Sorrows. Flirting with a norn huntress in Shelter Rock. Relaxing in the Zelechor Hot Springs. Living life for the sake of living life. Quite a few of his adversaries, accomlices, and partners have picked up on this, comparing him to the tigers of the Maguuma Jungle. A fierce, lonesome, yet friendly and cooperative creature, that is deadliest when attacking from an ambush. All this travel, drifting, adventure led to Argylwyd not only coming to terms with his aimlesness, but outright embracing it. He found contentment in his lot in life. Enjoyment in experiencing all that he can in this world. All this put together resulted in him getting the nickname: Smiling Tiger, which Argylwyd immediately took up as his own. Personality: What people dealing with him tend to forget is that at the end of the day Argylwyd is a crook, a thief, and an adventurer. He is well accustomed to violence, to constant threat, having to always watch his back. When he agrees to play by any rules and laws, it's purely because it's worth it for him. What makes Argylwyd stand out among other criminals is that he has absolutely no interest in wealth. Whatever he gets, he spends right away. On a strong drink, a hearty meal, a game of chance, and companionship. He has nothing to gain and everything to experience. Strengths, talents: Argylwyd is self-reliant, self-sufficient and despite all odds most;y self-actualizing. Because of this he is helpful to those in need, and confident in his abilities. He is also a keen observer, noticing small, out-of-ordinary details with ease. Weaknesses, detriments: Despite being a joyous and helpful person Argylwyd is rarely a team player. He strongly dislikes any disturbance in his "way of doing things". But if his boundaries are respected he is willing to cooperate with little hassle. He also has never worked an honest day in his life so his work ethic is lacking at best, non-existent at worst. Despite his "profession" as a thief and criminal, Argylwyd cannot lie. He's simply terrible at it. The only context in which he is proficent at lying is during his storytelling bouts. Which, for this reasong, are highly entertaining, and may or may not be true. Since you asked for advice, I'd be glad to give you some. Although I am not sure which part of your character you want advice on. So I will try to cover everything. First of all, your post needs some color. It is well structured so that it reads nicely, however, it still looks a bit dull because it only consists of text. When you look at the the other character sheets here you'll see the best ones often include screenshots and/or other ornamentation. You don't have to go as far as trying to find some cool font for it (which I personally think often has the contrary effect), but at least include a screenshot or two. Especially since this gives people a way better idea of what your character looks like, than just a description of his appearance. On your character himself, there is two major points of critique for me. One, he doesn't seem much like a sylvari, and two he has barely any weaknesses or outstanding traits. You did include a backstory of him not having a strong connection to the Dream, which is not a trait unheard of. However, the Dream is probably the most iconic thing about the sylvari race. In rejecting it, plus not giving him anything else 'sylvari-like' you deny him any identification with his race. Which in turn means, that he could have been anything else, really. Replace the weak connection to the Dream with anything like: weak connection to the family, krew, warband or spirits and replace his race respectively, and you won't find any difference. See what I mean? I think if you'd focus in your storytelling a bit more on this point and his overall 'not so interesting' background, you'd flesh him out a lot better. Second, you stated his strengths are: self reliance, and his weakness: not a teamplayer. When you read over them again, you'll see they are basically one and the same thing. Also, those are probably the most stereotypical rogue-like traits any character could have. This doesn't mean they are bad, but they don't make much of a personality, since your character will just be like all the 5 thousand other thieves out there, who just couldn't think of anything better. The best characters, even with short appearances, have strong characterization. Which means, they will be remembered for their uniqueness of a personality as a whole. You don't have to completely avoid stereotypical traits, but you have to mix them with unique ones that make your character stand out. This is the whole point of the strengths and weaknesses headers. That said, I really liked that he is unable to lie. This is something more unique in your character. Try to find more like it. Other than that, I would like to point out, that one does not simply 'hone his skills with the Nightmare court'. The Nightmare Court is not something that you just go to and spend some time with, having fun ruining other peoples dreams and torturing innocent animals. IF you go to the Nightmare Court, you either barely escape with your life, forever scarred by the experience, or you die trying. As a sylvari they won't let you go, because you either serve the Nightmare, or you serve the Dream. I didn't want to make it seem like your character is beyond hope, because he definitely isn't, but I wanted to make my points clear. I hope this helps you in your roleplay with him, and future characters. I'd like to point a few points since you asked already for them. Is true that Sylvari are "copies" of humans, but they are way different in many aspects. In your bio, you never specified how old is your character, so you can start there. Another point I'd like to point is the fact of awakening with weak connections to the dream. That I'm afraid, is imposible. being a Soundless Sylvari, means that the Sylvari goes with constant meditation to severe the connection. But! they never truly disconnect themselves from the dream. Here you have a reference. Like the person above me said, placing that your character is not a team player while being super helpful, is somewhat contradictory. A lone person rarely offers help to another one, that's why they are lonely. Another thing is not having a dream, that according the wiki, "Every" Sylvari experiences it. 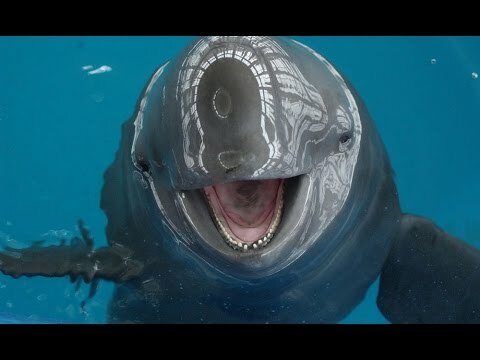 So by saying you have no porpoise, is wrong. although, what you can say is having a dream, but not understand what it means. Yet that is what mentors are for, and Newborn Sylvari stay their first years in The Grove, before venturing themselves outside. At this point they might not know what their dream means, but would have a raw interpretation of it. English clearly is not my strong point.